Have you ever needed to convert fahrenheit to celsius or ounces to grammes? 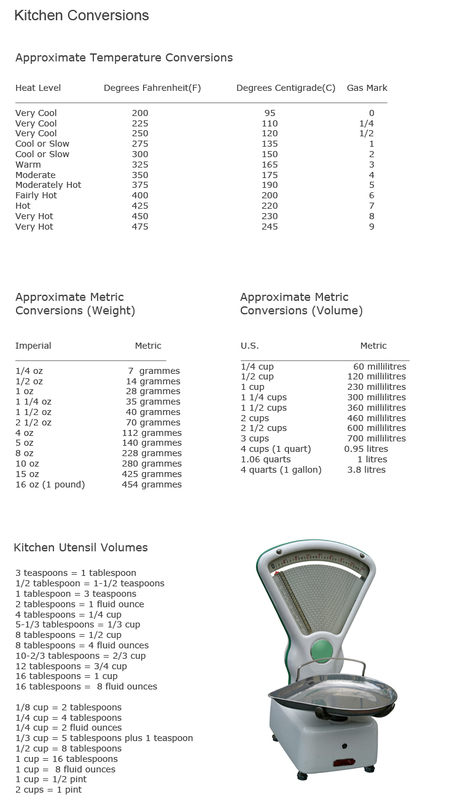 With this easy to follow kitchen conversions chart, you will be able to quickly find and converted cooking temperatures, weight and volume. 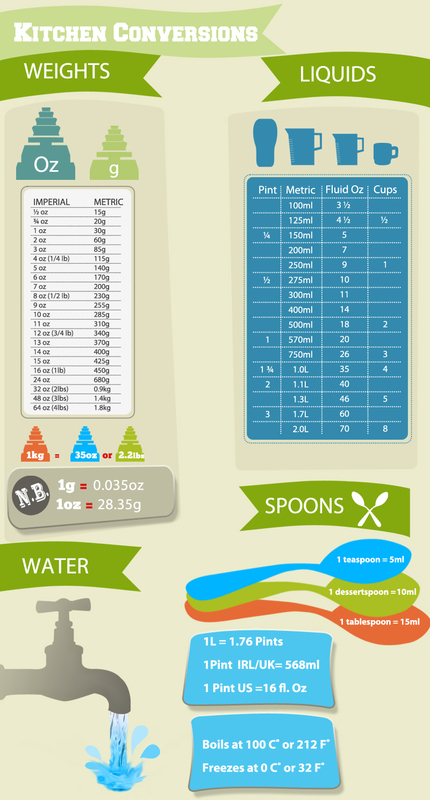 You can download our printable Kitchen Conversions (PDF).